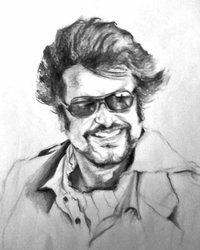 Plz contact Studio Best Arts, Chennai for professional classes to learn drawing, cartooning, portraiture, caricature, still life sketches etc in Royapettah area. Also do contact for commissioning the hyper realistic handmade Pencil portraits, caricatures and still life sketches of different sizes of museum quality to decor your room or your near n dear's. Teaching students how a final performance takes place. Introducing students to different art and dance forms. Basics of script writing, Introduction to Lighting, Introduction to Make-up, Character Designing, Improvisations and Voice Modulation. Painting is my passion.I add colors(paint) on the " blank "black" surface of my life. Different feeling have a different color that i use as my theme. Here are many paintings but each one has a unique thought & theme.i never think about any color combination that automatically comes out from the feel of the picture. Painting is pursued as hobby classes and hence, these classes are available from Friday to Sunday. Duration of the workshop is 9 classes in a month. Along with the above - mentioned schedule there would be a mandatory class by a visiting faculty addressing disciplines like - Dance therapy, Anatomy, Pilates, Physiotherapy, Visual design, Graphic Design, Photography, Videographer, Physical theatre, Stage design, Costume design, dance for camera, nutritionist, Career guidance, Executive Coaches, Counsellors, Architects, etc. - As you may have suspected, this class is all about Art and how to appreciate it. - This course will teach you all the basics that you need to know about drawing the human figure. Arts and crafts for kids are fun for children and the young-at-heart! These art craft activities cover a wide range of subjects for young artists, future artisanal book makers, potential puppeteers, and more. These aren't just arts and crafts for kids; they're fun for the whole family too! Start Date / Month: 1 Jan to 30 Sept.
Searching for Art & Craft Classes We are from Grace Academy IndiaThis is an Educational Institute we provide even Art & Craft Classes for School Students & House wifes for their interest. We have our professional tutors for make you bright and shine in this, Feel free to contact us.